Preparing for the Tour de France? Six volunteers test the equipment prior to deployment. It is not as if we are preparing for the Tour de France, but the three bicycles purchased a couple of months ago proved incredibly popular. Too popular in fact. They are all back to the repair shop for maintenance, but upon their return they will have company! 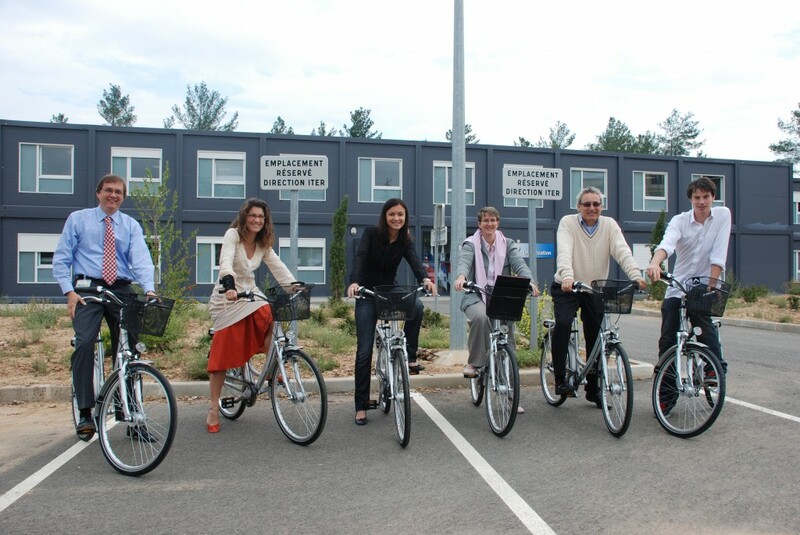 Another six bicycles have been bought to help employees navigate between buildings while staying fit. And having tried them myself, they are comfortable, incredibly fast (depends on the driver, of course) and very cool. The bicycles are at the disposal of all ITER employees and bicycle racks will be installed in front of 525 A,B and C in the coming weeks. To make sure that everybody can benefit from these bicycles, please treat them with the love and care they deserve to stay in good condition.